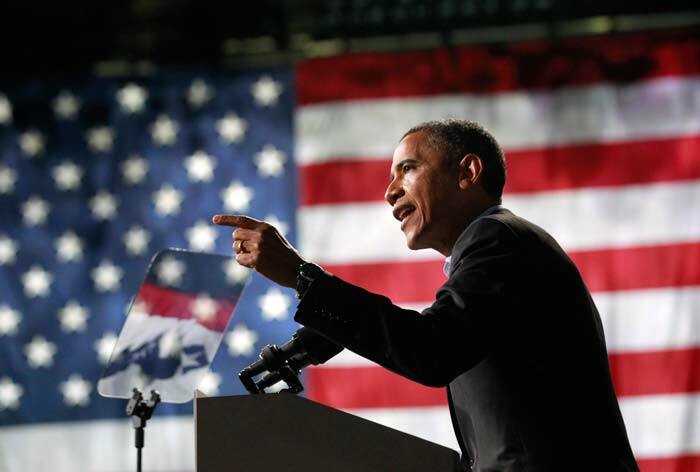 As the 44th president of the United States, Barack Obama, 51, signed into law a revamp of the national healthcare system and authorized the raid that killed Osama bin Laden, but struggled to revive the economy and create jobs. US Republican presidential candidate Mitt Romney, the former governor of Massachusetts and private equity executive, is pursuing the White House for the second time in Tuesday's election. 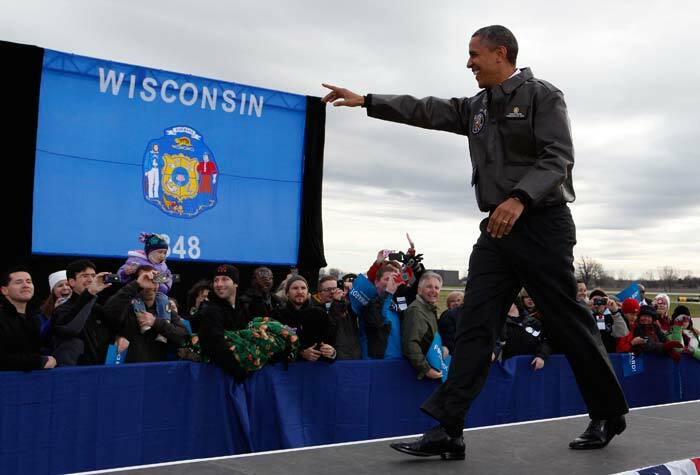 Barack Obama has a personal background like no other president in US history. His mother, Ann Dunham, was a white woman from Kansas and his father, Barack Obama Sr., was a black Kenyan who saw little of his son after a divorce when the boy was a toddler. Obama spent much of his childhood in Indonesia and then Hawaii, where he lived with his maternal grandparents. Obama struggled with his mixed racial background while growing up, writing in a memoir that he wondered "if something was wrong with me". He also was troubled by the absence of his father, whom he considered a "myth", and said that may have contributed to his use of marijuana and cocaine in his youth. Obama graduated from New York's Columbia University in 1983 and worked in the business sector in New York and for a Chicago community group. In 1988, he went to Harvard Law School, where he became the first black president of the prestigious Harvard Law Review. 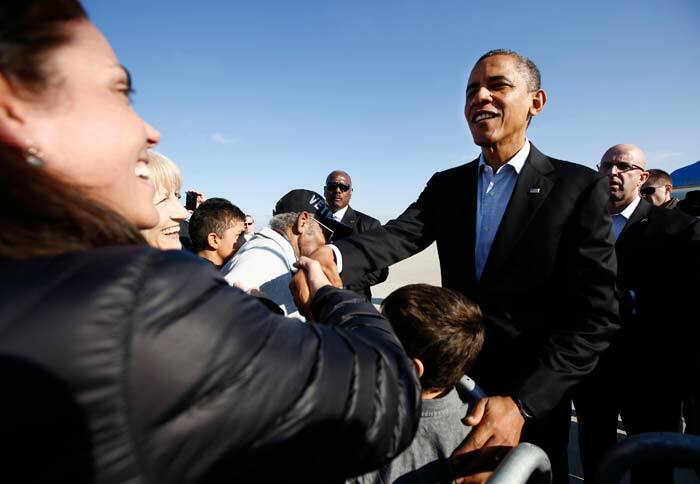 Obama's relationship with Congress has been problematic. Even when Democrats controlled the House of Representatives and the Senate, Republicans often stymied his initiatives. The situation became more difficult when tax-averse Republicans took over the majority in the House in 2010. 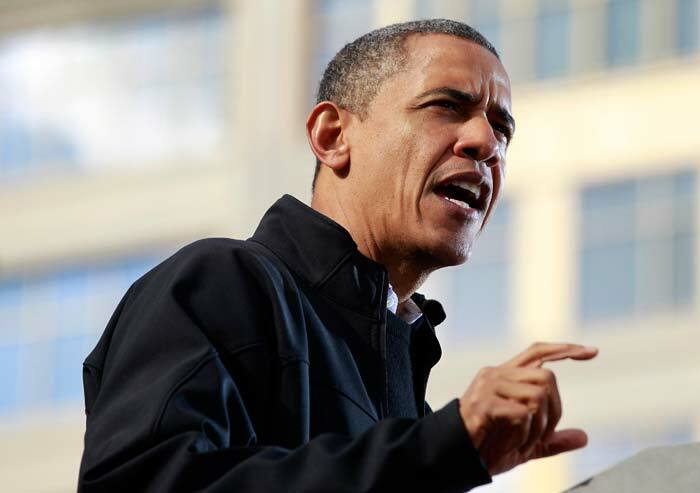 In the early 1990s, Obama worked in a voter registration campaign in Chicago, taught constitutional law at the University of Chicago and joined a law firm that specialized in civil rights and neighborhood development. 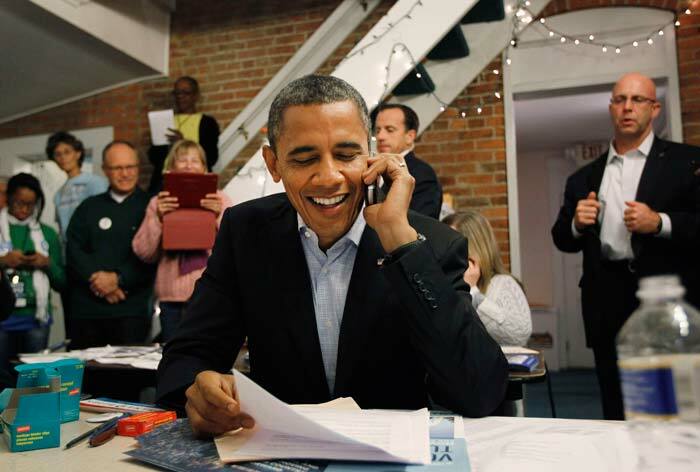 He married Michelle Robinson, whom he met at a law firm when he was an intern and she was assigned to be his adviser. In his rare spare moments, the lanky Obama pursues his lifelong love of basketball with semi-regular games at an FBI gym. He also makes time for school functions and sports events of his daughters Sasha and Malia and tries to get out for an occasional "date night" with his wife. 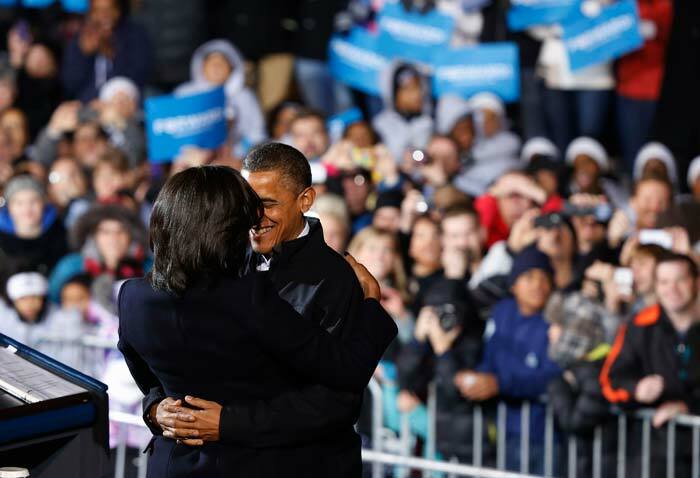 Obama's political career began with his election to the Illinois State Senate in 1996 and soared in 2004 when he gave a rousing keynote address at the Democratic National Convention. In November of that year he was elected to the US Senate. 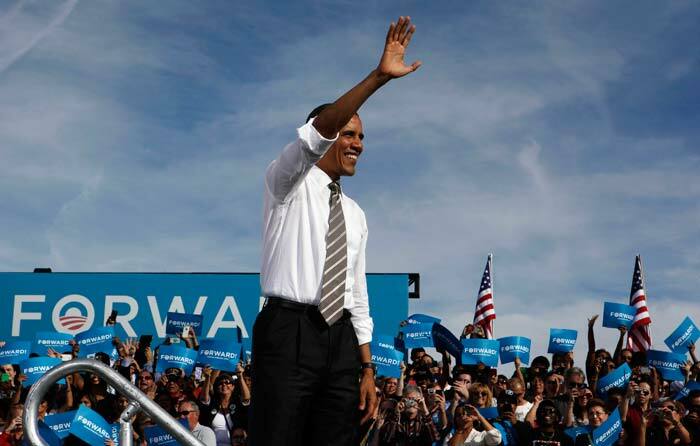 Obama won the 2008 Democratic presidential nomination by defeating Hilary Clinton, the former first lady and New York senator, and then took the presidency by beating Republican Senator John McCain. 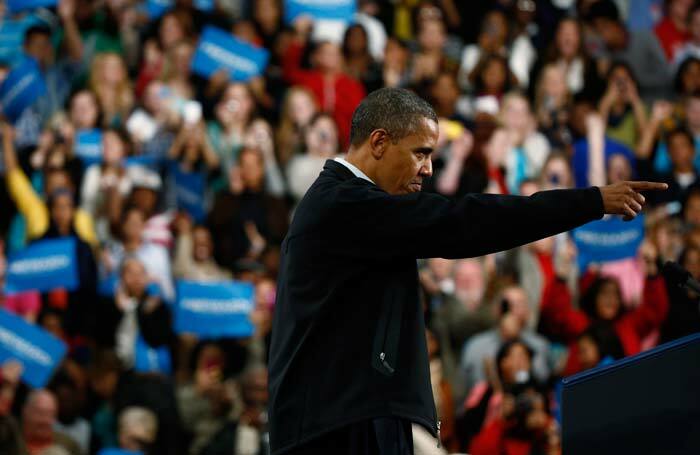 His energetic campaign was built on a theme of "hope and change" fueled by powerful oratory. 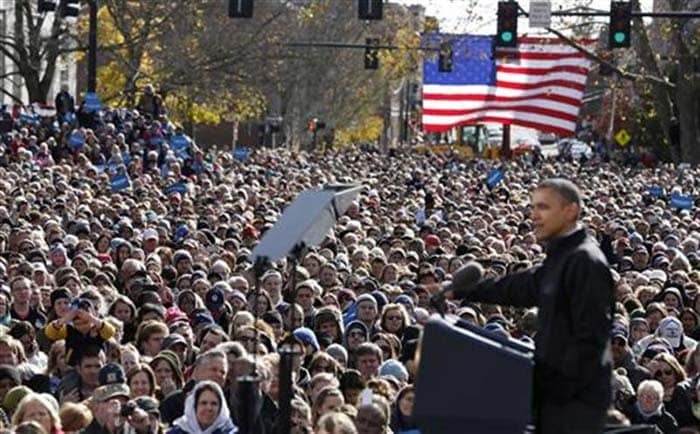 A mood of national optimism prevailed at Obama's inauguration on January 20, 2009, which drew an estimated 1.8 million people to the National Mall in Washington despite bitter cold. He began his presidency with a 68 per cent approval rating. Obama simultaneously oversaw wars in Iraq, which he ended in 2011, and Afghanistan, as well as the US military involvement in Libya that helped oust Muammar Gaddafi. In May 2011, he authorized the raid in which US Navy SEALS killed Al-Qaeda leader Osama bin Laden in Pakistan, a triumph he points to as indicative of a strong national security policy. 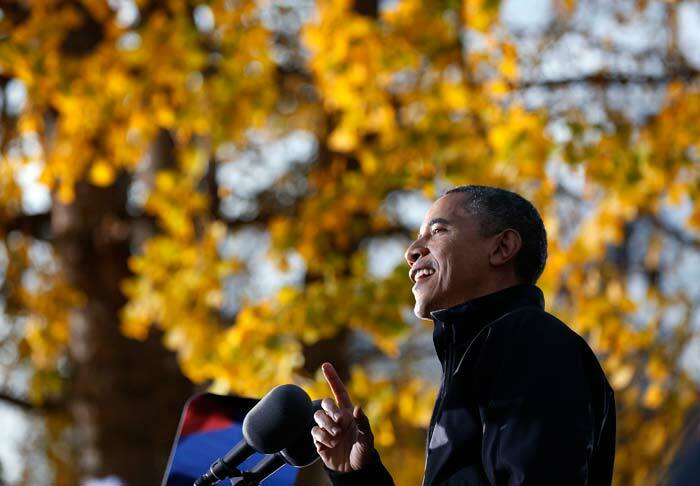 Obama inherited an economic crisis so persistent that it remains a threat to his re-election. Almost 800,000 jobs were lost the month he took over. In the early days of his administration, he pushed through an $831 billion economic stimulus package and renewed loans to auto makers, even making the government a temporary part-owner of General Motors. 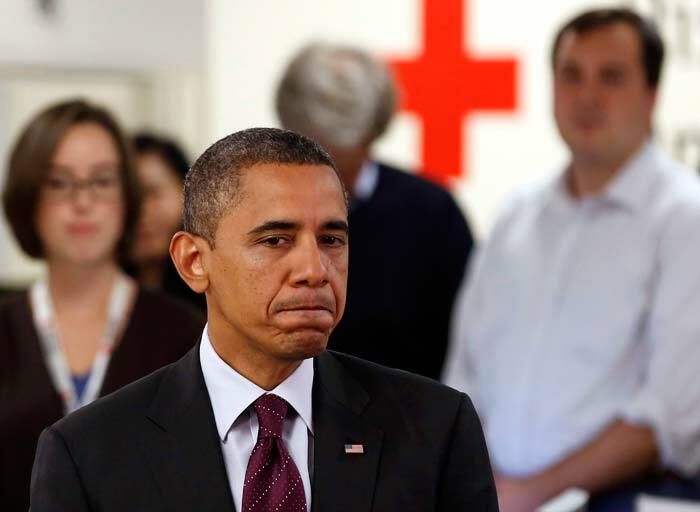 The centerpiece of his domestic agenda was the Affordable Care Act, the healthcare reform law better known as Obamacare. Its purpose is to give all Americans affordable insurance and more protections, but critics say it is expensive federal interference. A key aspect of the reform -- requiring most Americans to get insurance or pay a penalty -- survived a 2012 US Supreme Court challenge. Obama has a reputation as a charming communicator but he also is criticized for being aloof and not building better relationships with congressional leaders. 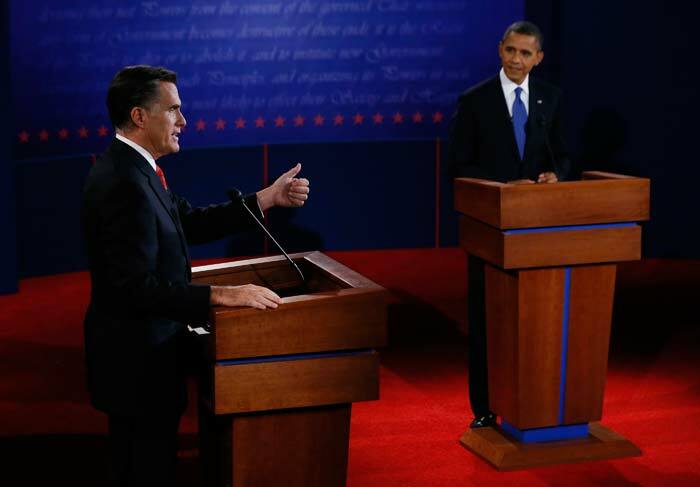 Some have questioned his preparation skills, especially after a poor performance in a presidential debate with Republican opponent Mitt Romney. 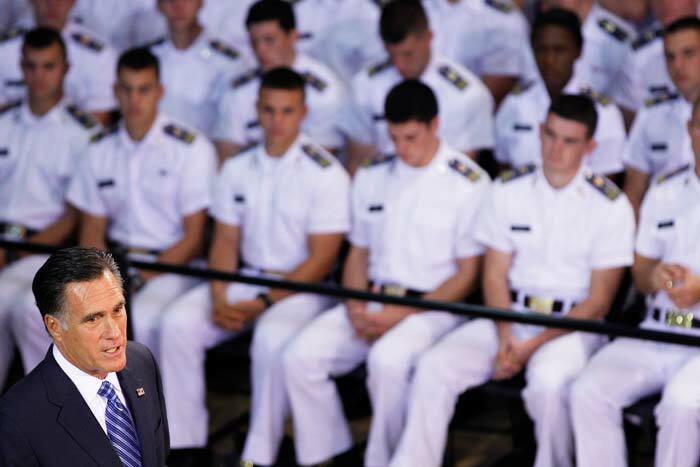 Romney, 65, espouses traditional Republican positions to cut taxes, reduce federal regulations, shrink government spending and bolster the US military. He vows to create 12 million new jobs in his first term with a plan focused on domestic energy development, expanded free trade, improving education, reducing the deficit and championing small business. He lost the 2008 Republican presidential nomination to Senator John McCain but entered this year's race with a large campaign war chest and the blessing of many in the party establishment. Conservative unease over his reputation as a moderate led to a stiff challenge in the Republican primaries. His net worth has been estimated at between $190 million and $250 million, making him one of the wealthiest people to ever run for the presidency. 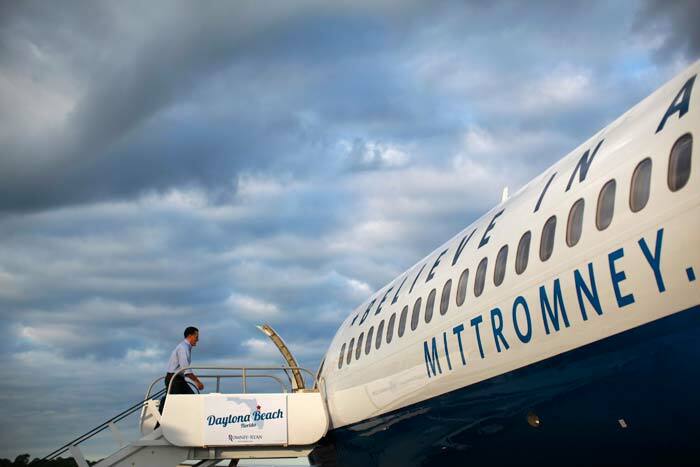 Romney has been criticized for holding money overseas and for not disclosing as many tax releases as his opponents have demanded. 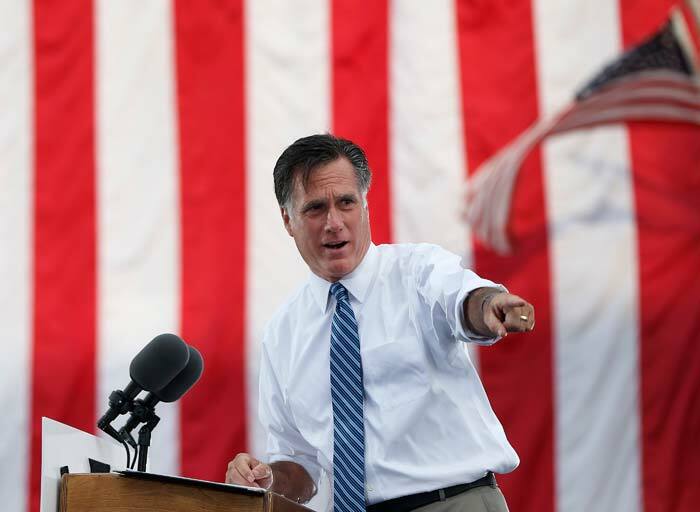 Romney proposes to lower individual income taxes across the board to 20 per cent while closing some loopholes, which he says would stimulate economic growth without widening the federal deficit. He supports restructuring the social security retirement programme and the Medicare government health insurance programme for the elderly and disabled. He is a fifth-generation member of the Church of Jesus Christ of Latter-Day Saints, or Mormon church. He was a Mormon missionary in France for more than two years after leaving high school and later became bishop and stake president in Boston, roles akin to being a lay pastor. His faith, however, is viewed with suspicion by some conservative evangelical Christians. 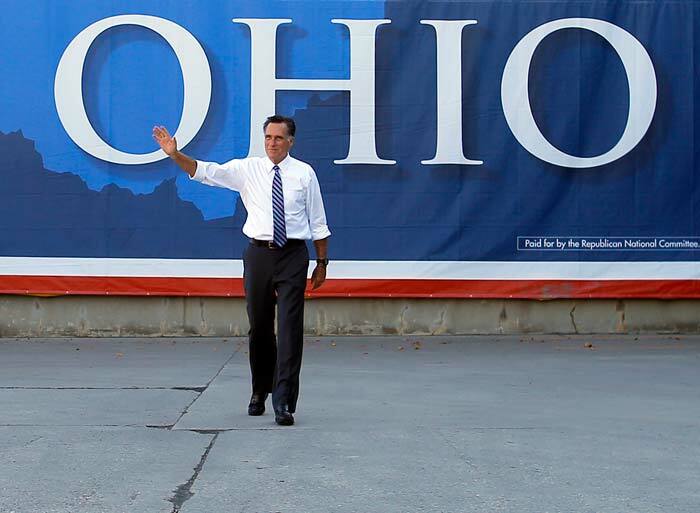 Born into a well-off family and raised near Detroit, Romney was exposed to politics early. His father, George, was chairman of American Motors Corporation and governor of Michigan from 1963 to 1969. George Romney lost a bid for the Republican presidential nomination in 1968 and served in President Richard Nixon's Cabinet. In 1994, the younger Romney ran for a US Senate seat in Massachusetts as a moderate Republican, but was handily defeated by incumbent Democratic Senator Edward Kennedy. 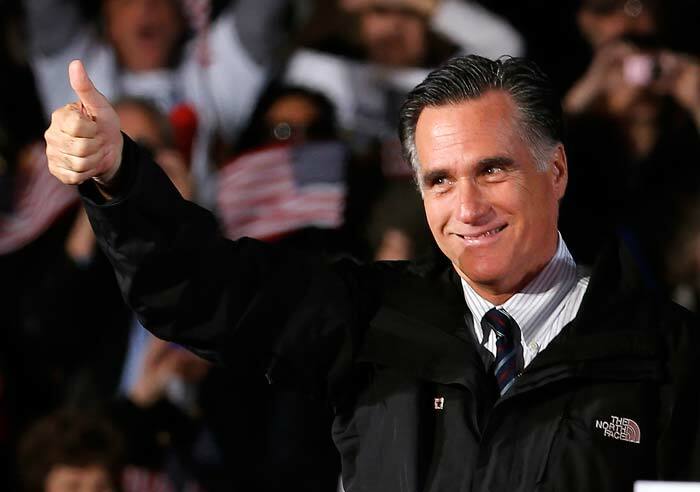 Eight years later, Romney was elected governor of Massachusetts, where he instituted a statewide healthcare reform that became a model for Obama's 2010 national healthcare overhaul. 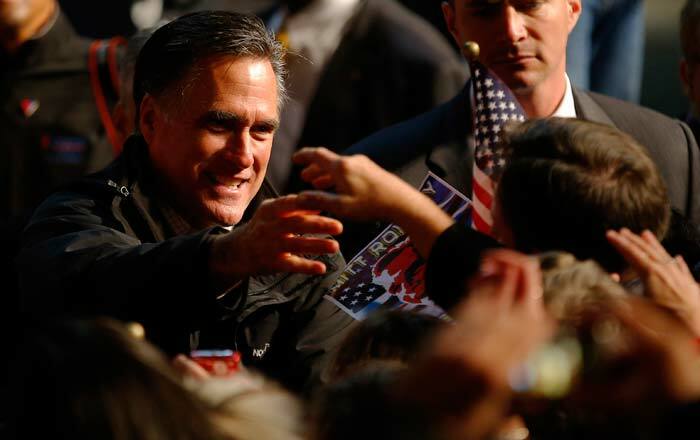 In 1999, Romney took over as head of the committee organizing the 2002 Winter Olympics in Salt Lake City, Utah, which had been plagued by cost overruns and scandal, and produced a successful event that helped establish his national reputation as a premier problem-solver. 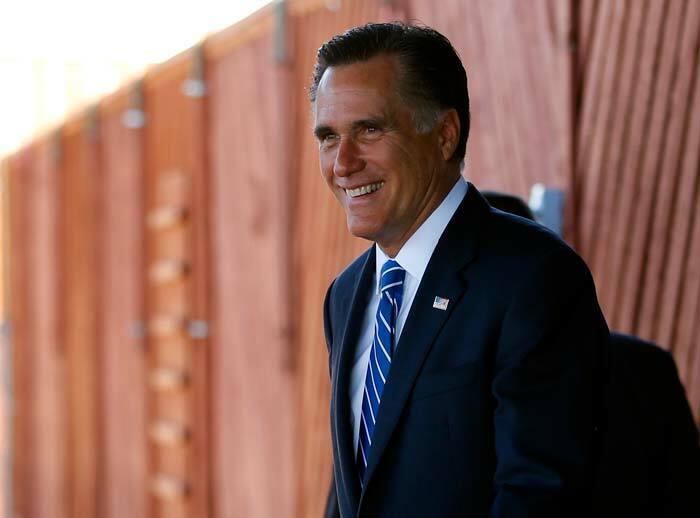 As his party moved to the right, Romney changed his positions on sensitive social issues, including abortion and gay rights, which fueled criticism that he lacked core beliefs and was motivated only by ambition. 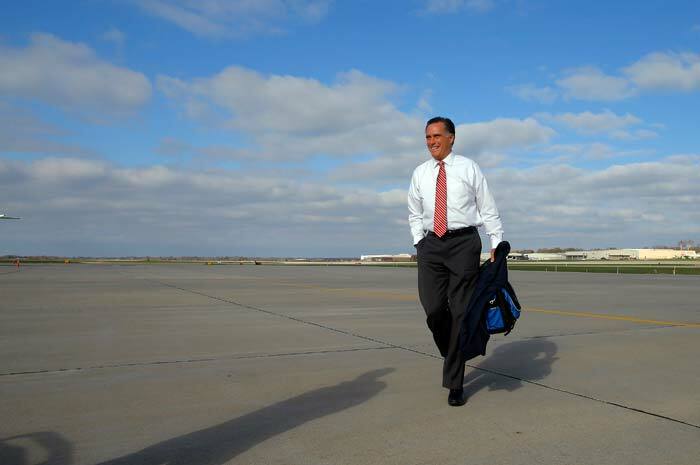 Romney referred to himself as "severely conservative" during the 2012 Republican primaries but has projected a more moderate image during the general election campaign. 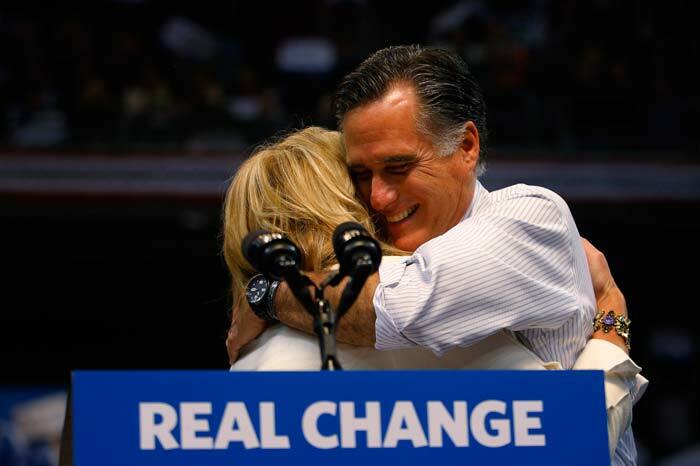 Romney met his wife, Ann, at a high school dance and they married in 1969, while they were still in college. They have five sons and 18 grandchildren. 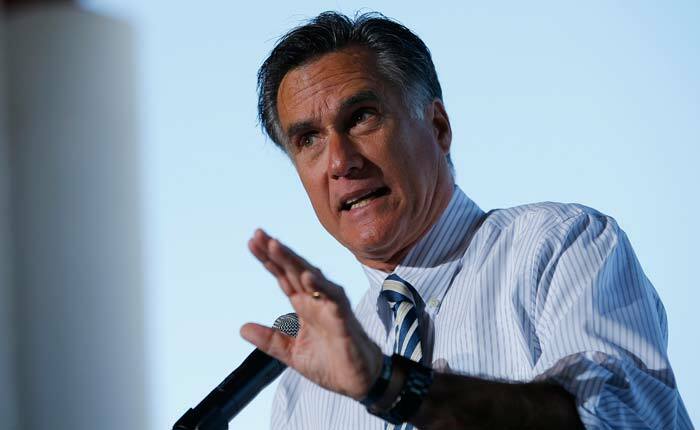 Romney has an English degree from Utah's Brigham Young University, which is owned and run by the Mormon church, and a joint law degree and MBA from Harvard University. He speaks French. 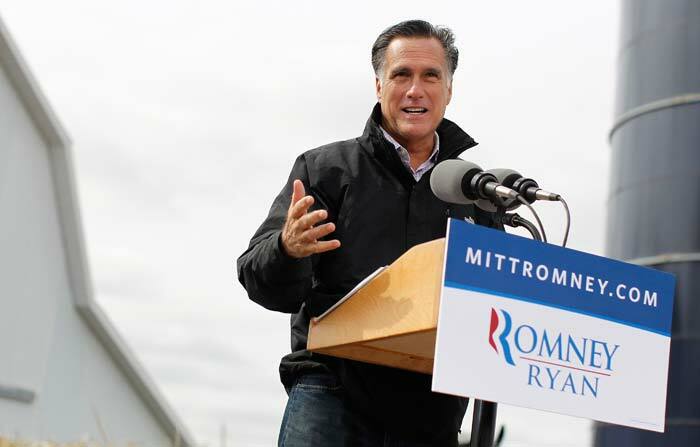 Romney joined the management consultancy Bain & Co in 1977 and climbed the ranks. In 1984, he co-founded the highly profitable private equity arm Bain Capital, which invested in start-ups and fledgling companies including Staples, Sports Authority and Domino's Pizza. 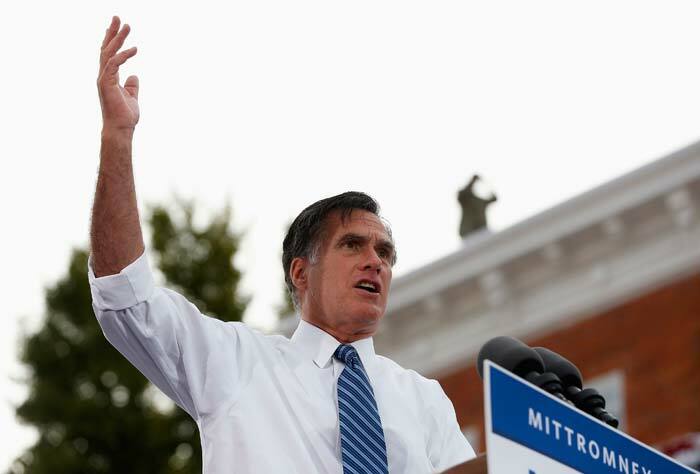 Critics have highlighted the number of jobs Bain cut while Romney was at its helm. 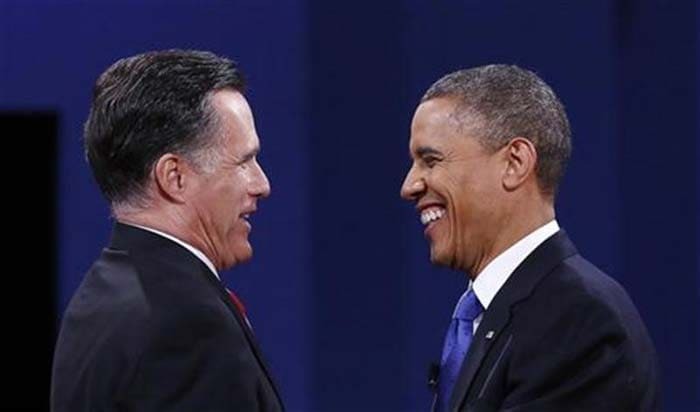 Romney has battled a reputation for being uncomfortable and stiff when campaigning and somewhat aloof when relating to ordinary Americans. The New York Times once described his campaign persona as "All-Business Man, the world's most boring superhero". He has little foreign policy experience. He stumbled in August during a gaffe-filled trip to Britain, Israel and Poland that was meant to burnish his credentials on the world stage. He has labeled Russia as America's "number one geopolitical foe" and said that preventing Iran from obtaining a nuclear capability should be Washington's highest national security priority.